Sundays 6:00 p.m. - 7:30 p.m.
Kripalu Vinyasa is a slow, inward, continuous movement with the breath to explore the internal landscape for the sake of skillful and intentional participation with the pulsation of life itself. This class is for more seasoned yogis and offers more challenging poses and postures, an opportunity for a seated meditation, and the exploration of yoga philosophy. Email yoga@whetstonewellness.com for questions or to reserve your space. $12 drop-in or 5 classes for $55. Tuesdays 9:30 a.m. - 10:45 a.m. Dealing with leaky pee, diastasis recti, prolapse, core weakness, or just want to learn how to have a more integrated core in exercise and day-to-day life? In this series, we’ll be working together to retrain your core & pelvic floor muscles to be more functional, responsive, and supportive to your body. This whole body approach focuses on learning to move better, uncover movement compensation patterns, and create new patterns of strength, mobility, length, and support. Each week, we'll explore exercises and movement flows that build strength, stability and function as well as body awareness skills and that you can bring off the mat and into your daily life to support pelvic floor and core wellness. There also will be weekly (optional) homework and a take-home Intro Program at the end of the series so that you can continue your practice on your own! This class is empowering, fun, and I love to teach it! Join me! $90. Registration required at www.vanessagengler.com. Saturdays 5:00 - 6:00 p.m. The Fusion of Yoga and Dance is an uplifting, mind freeing experience; it is a powerful way to transform stress into a fun celebration of rhythms and cultures. The session is modeled for non-experienced dancers, and no yoga training or knowledge is needed. This concept has been shared and promoted all over the world for more than 20 years, bringing together and blending fitness, dance, and the relaxation of yoga in a very harmonic way. All you need is the will to try a new way of relaxation in a fun environment to express your body’s movement — to just try to let go and smile. Be ready to leave your troubles at the door, reconnect with your body’s moves, flow with the music, relax, find the connection between breathing and movement, let your heart beat go faster while you let the rhythm of the music guide you. The class starts as a gentle flow of repetitive moves to help the body get loose and get used to its owns natural rhythm and then starts building up as a slow, easy to follow choreography using yoga poses to create a flowy sequence. Drop-ins welcome, or email marger33@gmail.com to pre-register. $12 drop-in or 5 classes for $55. Drop-ins welcome, or email yoga@whetstonewellness.com to pre-register. $12 drop-in or 5 classes for $55. Pre-registration encouraged! Email yoga@whetstonewellness.com for questions or to reserve your space. $12 drop-in or 5 classes for $55. Wednesdays 6:00 p.m. - 7:15 p.m.
Join us for an all levels yoga class. Each class is designed to bring balance to the mind and body with flowing yoga postures, alignment, breathwork, guided meditation, and deep relaxation. You will learn to work with your subtle energy architecture, and use the power of awareness to harmonize mind and body. This is your invitation to work with the basics of yoga to clear away stress and invite more vitality into your life. Drop in for $12 or sign up for the whole series for $60. Wednesdays 10:15 a.m. - 12:00 p.m.
A time to tune into your inner needs by connecting with your breath and body; a safe space to align the physical and mental by practicing stillness and gentle movement for extended periods of time to welcome in rest and relaxation. Simply put, restore the body. The use of props will assist in helping you to hold a restorative pose for a longer time, deepening and relaxing as we unfold with the breath, calm the body and mind to become wholly present. Restorative Yoga is an excellent opportunity to disconnect from the frenzy and business of every day life. It offers respite through self-awareness, soothes the nervous system and encourages mindfulness as well as many other benefits. We will practice breath work, a few gentle poses with a slow flow and then explore some Restorative positions. Perfect for yogis who have limited joint mobility, arthritis and shoulder, knee or hip issues. No experience necessary! Wednesdays 9:00 - 10:00 a.m.
Yoga offers you a chance to tune in, take inventory, and find self-love, compassion, and non-judgment as you move into poses that strengthen and lengthen your body and breath. We will learn simple breathing exercises and graceful transitions to help you both on your yoga mat and off your mat out in the world. Prepare to energize your mind, body, and soul in this Beginner Yoga Class. With a background in dance, gymnastics, sports, and farming, Lindsey grew up with a strong awareness of her body in balance and motion. She fell in love with the beautiful attributes of yoga that combine mind, body, and spirit. She received her 200-hour Teacher Training from Kripalu in 2013, her Prenatal Teacher Training Level 1 Pranakriya Yoga in 2015, and is currently working on her 100-hour Meditation Teacher Training. 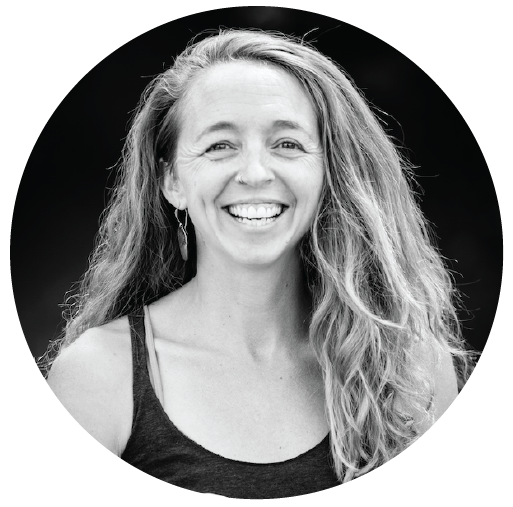 Lindsey believes yoga is best practiced off the mat through compassion, non-judgment, breath, and the ever challenging practice of listening to the body and mind while being present in the moment. She loves fluid movement on the mat and the opportunity to strengthen the body, mind, and heart through practice.